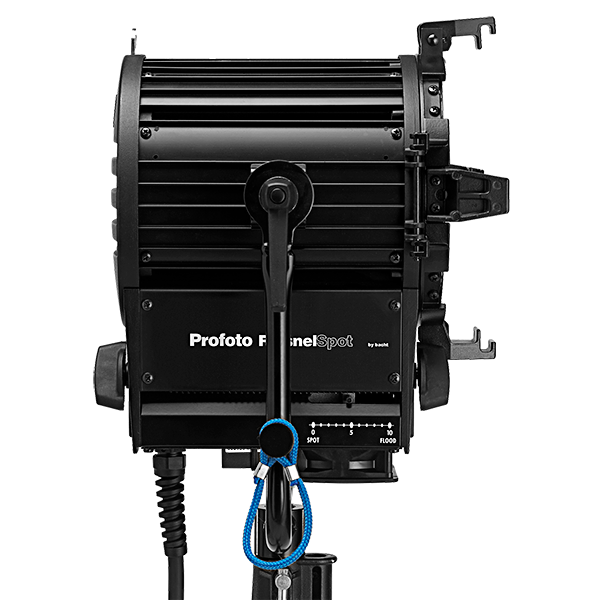 The FresnelSpot is a versatile flash head that provides what you could describe as your typical movie light, with high color saturation and deep, sharp shadows. Many photographers use this to create classic Hollywood era portraits. When used at closer distance, shadows become wider and the light fall-off is reduced. This can be used, among many other things, to create crisp still life pictures. Creates a typical movie light with high color saturation and deep, sharp shadows. High-quality 175 mm/7” Fresnel lens. The light spread can be adjusted from 10-50°.